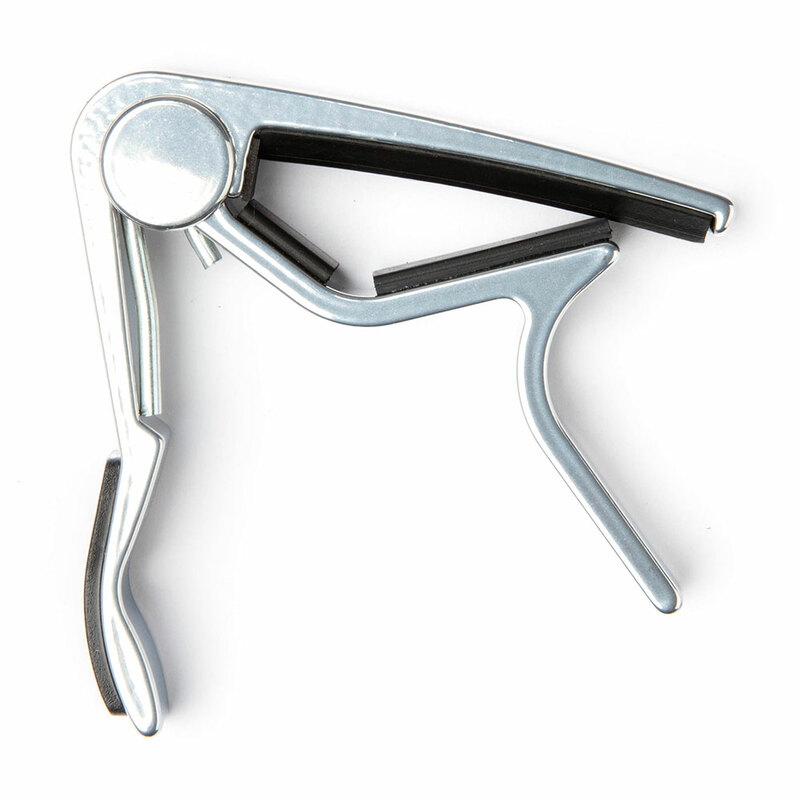 The Jim Dunlop Trigger Capo allows you to quickly and easily change key with a squeeze of the hand. 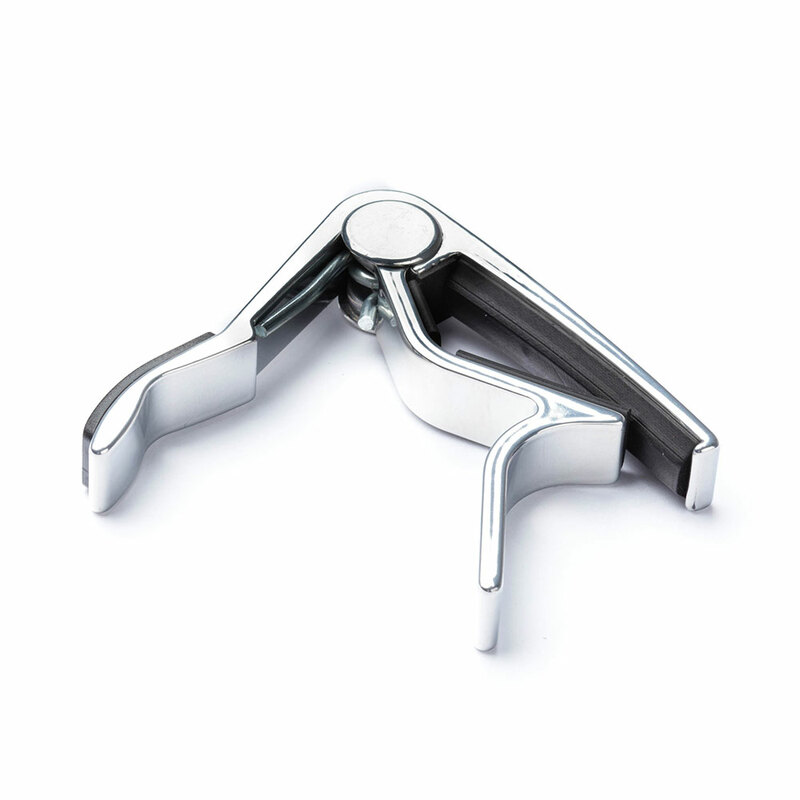 The strong spring action clamp keeps it firmly in place while its slim profile ensures that you can play up and down the fingerboard unhindered. Special padding protects your instrument's neck from scratches. Made from lightweight aircraft grade aluminium and fits most acoustic and electric guitars with curved fretboards.